Why Is the “Co-Pilot” Process Vital for Growth? 1. We need to be able to get in touch with our ‘inner world’. 2. We need to be able to get ‘outer world’ feedback. 3. We need a way to take in new information. 4. We need a way to evaluate that information and make decisions. If we’re missing any of those four things, we end up being lopsided. If we can’t get in touch with our inner world, we become overly reactionary to outside stimuli. If we’re out of touch with the ‘outer world’, then we ignore vital feedback that keeps us in touch with ‘reality’. Similarly, if we don’t take in new information we become highly prejudice. And, alternatively, if we can’t evaluate new information to make decisions we do nothing but tread water. Awesomely, our Driver and Co-Pilot processes help use perform all four, since each of 8 cognitive functions are either Extraverted or Introverted as well as being either info-gathering or decision-making. 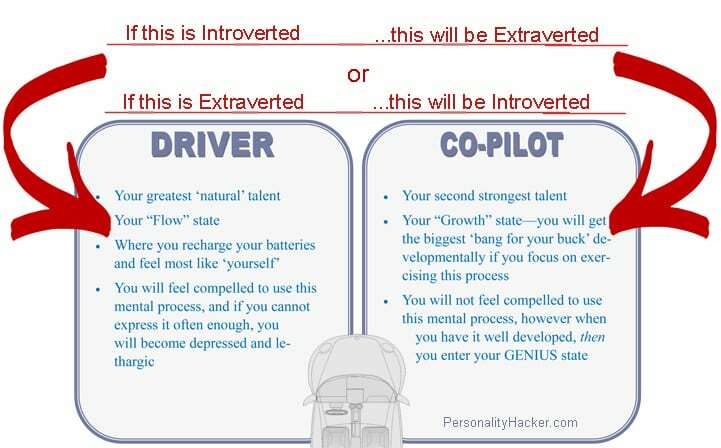 If your Driver process is Introverted, your Co-Pilot will automatically be Extraverted (and vice versa). And if your Driver process gathers new information, then your Co-Pilot automatically evaluates to make decisions (and vice versa). 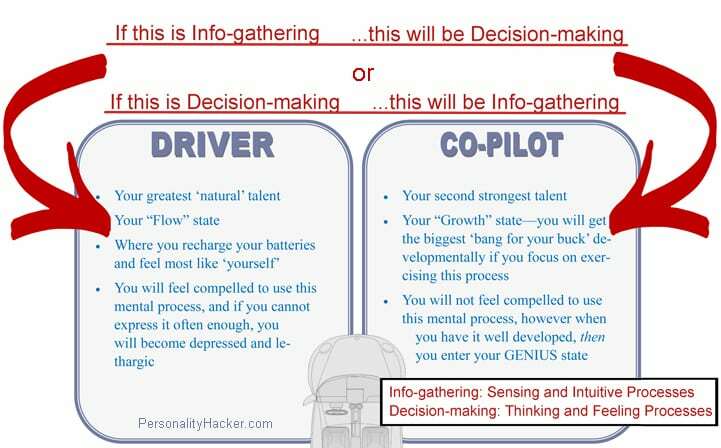 This is why we call the combination of the Driver and Co-Pilot your ‘genius’ – you can’t be in your genius if you’re missing two necessary components of personality. The stronger your Co-Pilot process, the more balanced you become as a person and the more in your genius you are. As an aside – It’s not uncommon for people to assume that if you’re, say, an Intuitive you need to focus more on your Sensory process, or if you’re a Feeler you need to become more Thinker. It feels like a common sense approach to becoming ‘balanced’. Unfortunately, this only ends up diluting the talents of your Driver and Co-Pilot. It’s called the ‘cost of specialization’ – you are going to, by definition, become stronger at the things you place your attention on and weaker at anything not within that sphere of attention. Since time on this planet is short, if you try to be good at everything you become good at nothing. My observation has been that the people at the top of their game haven’t tried to be more Intuitive if they’re Sensor or more feeler if they’re a Thinker. They’ve, instead, focused on developing that Co-Pilot process (whether they realize it or not!). Each personality type LOVES their Driver process. If you ask someone to describe themselves, even if they know nothing about personality types they’ll end up spending about 80% of their time describing that process. Using our Driver process is a pleasure, often puts us in a flow state, and we naturally allocate a lot of time to it. We clock our ‘10,000 hours’ using the Driver process because we just like it so much. The Co-Pilot process… not so much. For a couple of reasons. First, it will be in the opposite attitude of our Driver process. “Attitude” is in-speak for “Introversion or Extraversion.” Meaning, if our Driver process is Introverted, then our Co-Pilot is Extraverted (and vice versa, as mentioned before). The world in the opposite attitude of our Driver is a less comfortable place for most of us. As an Extravert, I can attest to the ‘inner world’ being far less easy for me to manage than the outer one. And I’ve yet to meet an Introvert that doesn’t regularly need alone time to recover from the outer world. So, our Co-Pilot process forces us to visit that ‘other’ world. This is GOOD for us, but not always comfortable. Second, it will also require us to either be more thoughtful about our decisions or it will require us to make a decision. For those that have a decision-making process as their Driver, it’s sometimes difficult for them to slow down enough to take in more information. And for those who have information gathering as their Driver, feeling pressured to make a decision can be torture. Again, this discomfort is good for us. All growth happens out of our comfort zone. So, while our Co-Pilot is a natural gift and preference, the exercising of this process can represent discomfort. If we’re used to indulging ourselves psychologically and emotionally, we just won’t go there. I should probably make a note about the difference between using and exercising a process. It’s easiest to do so with an illustration. If you pick up a golf club and hit a golf ball with it, that’s using a golf club. If you dig a 4.25 inch hole and attempt to get the golf ball into that hole from 290 yards… now you’re exercising that usage. You’ve set a measurable goal and can observe improvement. Exercise isn’t simply usage, it’s increasing skill and competency. We’re all going to use both our Driver and Co-Pilot processes. And unless we’re very unhealthy, we’ll exercise the Driver process because it’s fun to give it challenges and watch it improve. However, our Co-Pilot isn’t as intrinsically rewarding to push toward excellence, so it often is in a diminished ‘supporter’ role. As I mentioned before, the people at the top of their game – gymnasts, musicians, mathematicians, engineers, etc… – are sometimes so balanced you can’t tell which process is their Driver and which is their Co-Pilot! 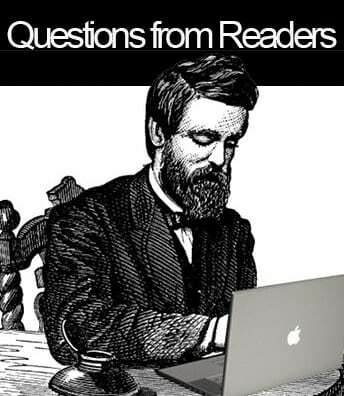 Hope that helps – thanks for the question! Hello! ENFP here! I’m having a somewhat hard time with my Fi. I’ve been ignoring it and putting it aside after my environment assured me that morals are a problem if you want success in real world. In my case make less my Fi because it somehow limits my Ne. And I think that’s what freaks me most. What if my co-pilot takes the lead. What If i become a boring crying ball of emotions that can’t enjoy life because it gets offended by everything. But in the end and after doing things as my Ne and Te told me to (And resulting in a very sad outcome) I think it’s easiest to train my Fi to hold tears than have to deal with my Ne throwing punches with Te and their consequences. Hi, I’m an INTP, I’m very intuitive and a dichotomous thinker, I was told that the personality test was BS, but deep down some of what was said about me is true, I don’t want to stand on stage and brag under my breathe, because I don’t matter, it’s the people who need targeting. I feel there are individuals here on Earth that is different from the rest, we are the ones who don’t care about a party, or getting rich, or becoming famous, instead we are singled out individuals who have a brain that is wired wayyyyyy differently than others, we love to ask powerful questions, we love to learn a lot, growing up we may have been bullied and pushed away and laughed at, but we are somehow able to still stay from harms way, and that’s because there is forces who protect certain chosen individuals, these are the type of people I want to friend, I need more friends like that, thanks for the test, it revealed a lot about me I didn’t even know, I’m glad I took this test, I’m happy to be on the right track, until next time, love yourself and one another. I am INFP I’ve learned that I am very often misunderstood. People misinterpret my intentions. Specifically thinking that I am saying I am better / smarter than others. This flumoxes me because my intentions have nothing to do with my own status. I am thinking of other people and how to help them. This phenomena has caused me to almost give up trying to communicate to others about how they can resolve their problems or personal issues. It seems like a difficulty on my part to be able to say things in a way that is not misinterpreted and a problem with others ability to perceive what I am really saying. Any insight you have would be appreciated. really good article. nice and simple. its probably impossible, but would love to hear about real world people under longitudinal observation to see how effective this is. or maybe people that are at there top can attest to this and describe their experience to marry up with the theory. Hi, INFP here, authenticity driver. Thanks for this article. I did felt discomforted while reading it! 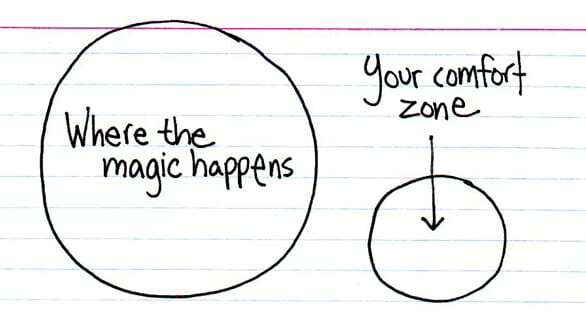 I understand your point when you talk about getting out of the comfort zone. However, I doesn’t feel authentic to force me to be something I’m not (extroverted energy). It’s true I saw some benefits in the past as the result of using exploration. But when I balanced the risk-benefit relationship of the equation I realized I ended up feeling drain, my energy was gone when trying to embrace the extroverted energy of exploration. I felt empowered for like a second and then I needed 2 days a 11 hours sleep to recover from those experiences. Besides, the term “growth” is a individual/subjective one. Growth does not mean the same to me as it would for you. And the only moment when I can produce without distraction is when I am being authentic and driven by my values. I’m unstoppable that way, so I don’t see much point in being extroverted. In fact the word “flow” or “state of flow” has a positive connotation by itself. And “to force” something sounds more like being a masochist who feel placered by torture. Believe me, I tried. I tried SO hard to go out and to put my authenticity to the test, only to come back home feeling utterly frustrated, with my energy completely drained, my chest sore, and fully depressed. I no longer expect people to understand my. They don’t need to understand me, but to love me and accept me the way I am. If so, I will do the same with them, possibly even more. Apart of that, who on earth invented that frase that “you should get out of your comfort zone”? Where is this frase came from? I hear it a lot nowadays. Why on earth I would think it is convenient to get out of my power, my authenticity? To it seems I am not being true to myself and I am not loving myself if I force myself to do whatever. I need to want to do that. I must feel right first. ISFP- What you have said is true. I’m not that comfortable using extraverted sensing. It feels like I’m losing myself or becoming something very ‘unlike’ myself. It feels as if I’m trying too hard to be something I’m not! An outgoing person. I’m a home loving girl and I don’t like hanging out with people much. But I try to get out of the house once in a while or I’ll go crazy. What should I do to make the process of exercising my Co pilot less stressful and more comfortable? You seem to prefer to keep presentation materials brief, but your value proposition is all about tailoring personal growth goals to your particular personality type. In that respect, this would be much more satisfying & meaningful for clients if the conceptual framework were developed to provide specific examples and illustrations of how this lesson module plays out in real time with my type. I’d recommend finding your type on the site and reading the articles, listening to the podcasts and watching the videos. This article is intended to support a concept, those resources are intended to be more targeted. It would be kind of silly to address all 16 types in a single article. Interesting Article… I am an INTJ, can you tell me what is my co-pilot??? And some tips for that??? Hey Ali! Your co-pilot is Extraverted Thinking. We call it Effectiveness. We have a lot of resources for developing this cognitive function. 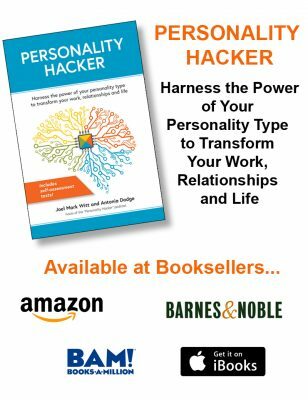 Here is a resource page for your type where you can find all the resources we have for you: http://www.personalityhacker.com/resources-intj/. Cheers! Excellent article. 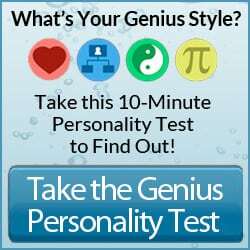 I am a creator type personality – INTJ. So easy to get into the flow on the creation side but then i have to market the project, team up with people – so slow and challenging – or i have to learn how to use online marketing platforms —– tires me out. But even before i came across personality hacker i had come to understand that i need to work hard at implementing systems and procedures. And to give the 10 year old enough love and attention to build self esteem and then power along the highway to success. Also i suffer from CFS – chronic fatigue syndrome which relates back to overwork in my 20’s – the 3 year old Sensation. Giving myself enough sensory based activities in the day can be a bit challenging. But just cleaning my apartment gets me out of my head and more grounded in my body and creates a sense of well being. As long as i can create structure and systems – and implement them, then i make progress. This is very true. It’s actually fascinating to see people who don’t know anything about typology that have somehow developed their co-pilot so much so that you can’t even tell which one they lead with between their co-pilot and driver. I personally think that’s one of the ultimate signs of a healthy person. Being capable of even being mistaken for your introverted/extroverted sibling type. Thanks for this! Antonia–thank you for writing. this clarifies a lot of loose ends. Thanks! I felt confuse. I got little point. Who can explain to me with simply? Is the conclude that we must balanced between our driver n co-pilot? I’m ISFJ. Hi, I haven’t read the whole article yet, but I had to say something about your statement that one will not feel compelled to use their co-pilot process. For me, this is not true at all. I’m an ENFP and for as long as I can remember, I have had to be authentic with everything I do. I can’t not do it. And I very much feel compelled to use it. I’m very grateful for having found your site and now I know that I even need to further explore and hone it to feel more complete. Sometimes I wonder if it gets in my way of achieving my goals (my effectiveness questions it), but now I know that it’s absolutely crucial for my development. Maybe the key is the difference between using and exercising my co-pilot. I’ll have to look at that. Thanks for the insight. Antonia, I’ve been following you guys for 3 months now and I have to say, thank you for being so smart and clear. Wow. I love the intention behind your work and the way you explain in ways that show both flexibility and strength in play with ideas. It’s a model in itself for how I’d like to hold my ideas. I’m just so happy that you found your way of expressing in this world because it has helped so many people already. I’ve learned a lot from hearing the way you approach problems and questions and Joel too 🙂 — Just wanted to tell you that, because I’ve been geeking out like crazy since I found you guys. P.S. I’m an INFJ, so it’s probably to be expected that I would (lol). I still have no clue though what it “looks like” to have a healthy Driver/ Co-Pilot. Do I have a healthy balance? I think rather than the concept, I need specific examples to understand it better. It was really illustrative specially with your models and graphics. Your graphics and models along with explanations, are like systems which formulate and connect all my experiences and knowledge which seems to be quite apart and abstract. (I am an INTJ who have had lots of challenges in life and also a long time study in depth psychology and mysticism.) It is like your explanations link them and provide a tangible model where I can put different materials in their place and see the relation between them and hopefully make use of them in practice. 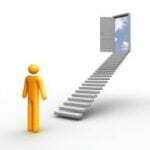 I am wondering if you provide online sessions for personal consulting? 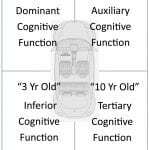 As an INTJ I am interested to know how our 3 year olds or 10 year olds can sabotage or hijack our development in integrating our driver and co-pilot. Thanks for information. As i push myself to my limits i find it more and more intresting but not really comfortable and drained my energy a lot. At the end of the day I always find myself playing with my 10 year old. Or maybe my 3 year old. But its fun. I’ve been devleved into your and Joel’s site and podcasts for a little over three years now, and Id like to say I work very hard to growth my personality daily and try to be aware of self as much as possible and listen to you guys speak for inspiration and tangible practices to impliment in my world, (you guys are unreal as to how much inspiration you’ve provided me and the work youre doing in the world right now) my question about this article is just on the decision making process that I believe is my co pilot (believe I show up as an ENFP). Recently Ive been doing so well Ive been happy and achieving things Ive set out and growing in ways that I had no idea would happen, but something happened with a relationship with someone new and I cant put my finger as to why its stopped me in my tracks and it kind of comes down to making a decision, as to whether to cut this person off, or just to remain friends.. and I guess Im just wondering if this would be an opportunity to grow my co pilot possibly…? or if instances like this fit the bit as to what to look for on a deeper level of growing a decision making co pilot process.